Why Salmon? Why wild salmon? Why not the cheaper farmed salmon? There are important differences between the two. First of all, we do not recommend daily consumption of fish, but when you do, try to eat fish that is known to provide the proper nutrients. The body cannot manufacture essential omega-3 oils. They must be obtained from food sources, such as canola oil, flaxseed oil, some legumes (beans and peas that grow inside pods), and wild ocean salmon. Fish has often been classified as ‘brain food’ – and with good reason. The brain consists of more than 60% fat. The fatty acids found in fish, particularly oily fish such as salmon, are essential to the optimal functioning of our brain cells. 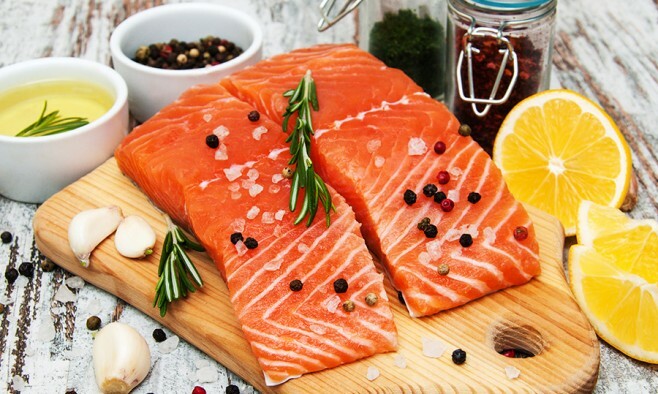 Wild salmon is the best choice, primarily because their ocean diet consists of a variety of aquatic organisms. Wild salmon contain high levels of essential omega-3 oils. Most farmed salmon are fed an unnatural diet of high-fat feed primarily made of soybean or wheat meal combined with ground-up fish parts, plus antibiotics. This means they retain the man-made chemical contaminants of their feed in their fatty tissues, and they have tiny amounts of omega-3 oils to offer. In addition, farmed salmon contain much higher levels of pro-inflammatory omega-6 oils. Wild Pacific king salmon, coho, sockeye, or copper river are the most beneficial choices. Other safe and sustainable fish include: US farmed tilapia, flounder, sable fish, black cod, Dungeness crab, stone crab, Pacific halibut, farmed bay scallops, Oregon pink shrimp, haddock, and farmed trout. Most canned salmon is wild; check the label to be sure. 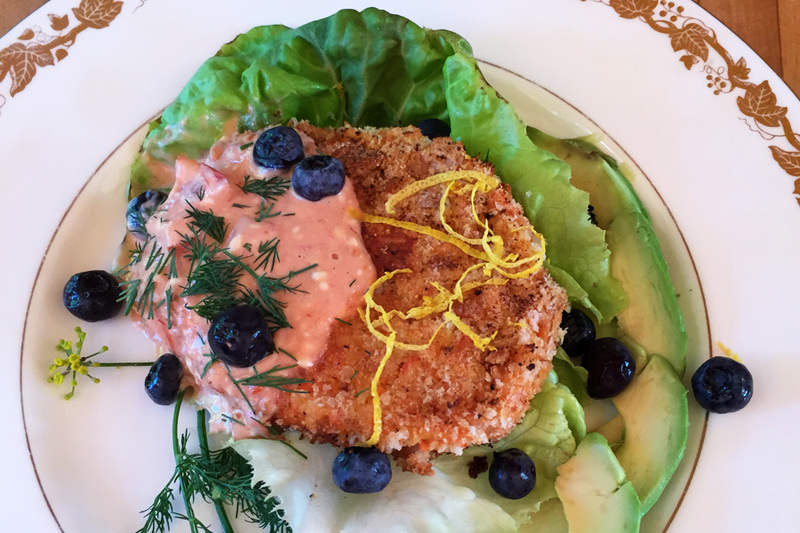 Why not try these delicious and easy salmon fishcakes for your next meal? 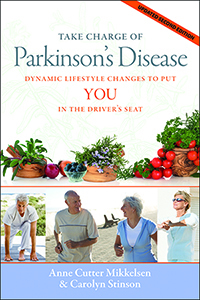 ‘Take Charge of Parkinson’s Disease: Dynamic Lifestyle Changes to Put YOU in the Driver’s Seat’ by Anne Mikkelsen and Carolyn Stinson is available in print and ebook fromAmazon.